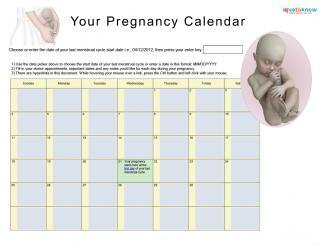 During week 26, your baby is continuing to develop and grow, and your body may be hard at work preparing for labor. Keep eating well, keeping those prenatal care appointments, and getting plenty of rest to give your baby the head start he deserves. Now measuring about 14 inches from crown to toe, your little one is growing longer. He also weighs about 1.7 pounds by week 26 of your pregnancy. According to the Mayo Clinic, your baby is also making a few other major developments. Your baby has started growing fingernails. It will still be several weeks before his nails reach the end of the fingertips. Your little one's lungs are now forming air sacs. The lungs are also starting to make something called surfactant. This allows the air sacs to inflate fully and prevents them from adhering to each other when they are inflated. According to the American Pregnancy Association, you are growing at a rate of approximately half an inch every week, although it may feel like more sometimes. Keep eating well and gaining weight steadily. You should have gained about 16 to 22 pounds by now. At this point in your pregnancy, you may notice that you are experiencing mild cramping or tightness in your groin or abdomen. Your uterus is getting in a little practice in the form of Braxton Hicks contractions, which can happen anytime from about this point through the end of your pregnancy. Typically, these contractions are very mild and occur at sporadic individuals. The American Pregnancy Association reports that the contractions can last anywhere from 30 seconds to about two minutes. The contractions will usually taper off on their own. Take a warm (not hot) bath. Drink water or herbal tea. Pre-term labor contractions are often more painful. Pre-term labor often involves regular, rather than sporadic, contractions. In pre-term labor, contractions will not cease if you change positions, take a warm bath, or drink liquids. Diet continues to play an important role in your pregnancy, even late in the second trimester. 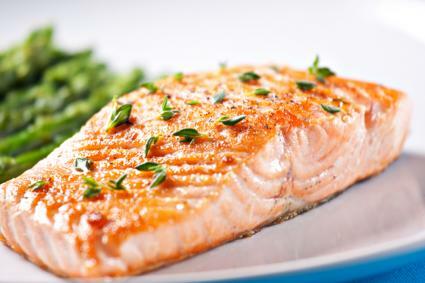 In addition to taking prenatal vitamins, eating a balanced diet, and monitoring your weight, it's important to understand a bit about fish consumption. Your body may be preparing for labor in the form of Braxton Hicks contractions, but you still have a few months to go. Keep taking great care of yourself and your little one in the weeks to come.